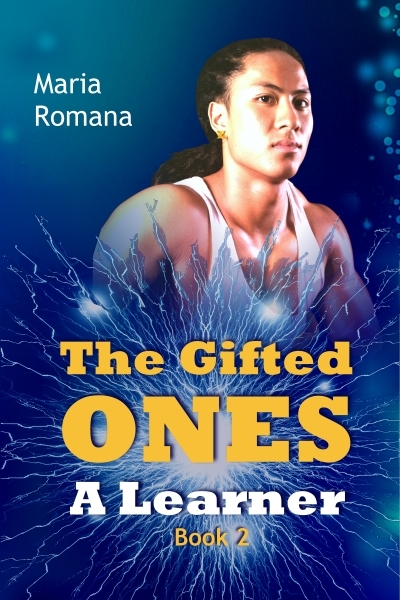 In case anyone missed it, last week we released the second book in The Gifted Ones series, as promised, on pi Day (3/14/15), though we didn’t quite make the 9:26 AM deadline to really give it the geeky math mojo (3.1415926). The book is available in all the usual outlets—just check the series page for purchase links. In the second volume in the series, Daniel Holybear, a Native American Gifted One, finds himself at odds with a development company that is threatening the peaceful seaside town he grew up in. When the company’s construction project unearths a mysterious stone tablet, Daniel calls on his Gifted friends to help secure the stone and uncover its secrets. Their efforts to assist him, however, are complicated by a peculiar kinship Ellie senses between Daniel and the project’s lovely manager. As their relationship deepens, Ellie finds her Gift bringing more pain than pleasure to those around her, and ultimately leading one of them to the brink of tragedy. Since the book is brand new, it’s painfully shy of reviews, so if anyone would like a free copy in exchange for a review, just drop us a line on our contact page, and we’ll send you the file type of your choice, straightaway. Argh! Here I go, once again, madly in love with my own, sadly, fictional creation. Meet Daniel Holybear, another of the Gifted Ones, and a descendant of the Manitoke Indian tribe in eastern North Carolina. When a nearby construction project uncovers an ancient artifact on tribal lands, Daniel calls in some of the Gifted folks that readers met in Book One to help unravel the mystery and protect the property from unscrupulous developers. But you needn’t worry yourselves with all that, just sigh and drink in all the lovely alpha-maleness you can stand. He does make a very fine cover model, doesn’t he? And for those of you who want more than a just a pretty picture, hang in there, the book is in final editing now, and will be released before pi day (3/14/15).